Perhaps one of the most packed piers ever! Mae Haad Pier is Koh Tao’s sole gateway to its amazing premise and that is exactly the reason why it’s always busy. 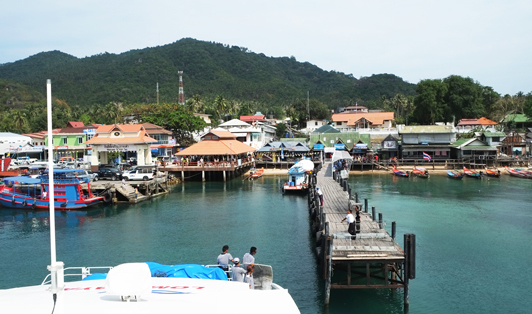 This pier connects Koh Tao with an abundance of gorgeously never-ending locations including Koh Phangan, Koh Samui, Phuket, Donsak, Chumphon, Hua Hin, Ao Nang, and Koh Lanta among many others. Around the pier you’ll notice various diving and tour boats, that is of course due to Koh Tao being popular as the diving haven In all of Thailand.